Posted on February 10, 2019, in Animals, Awkward, Cute, Kids. Bookmark the permalink. 2 Comments. 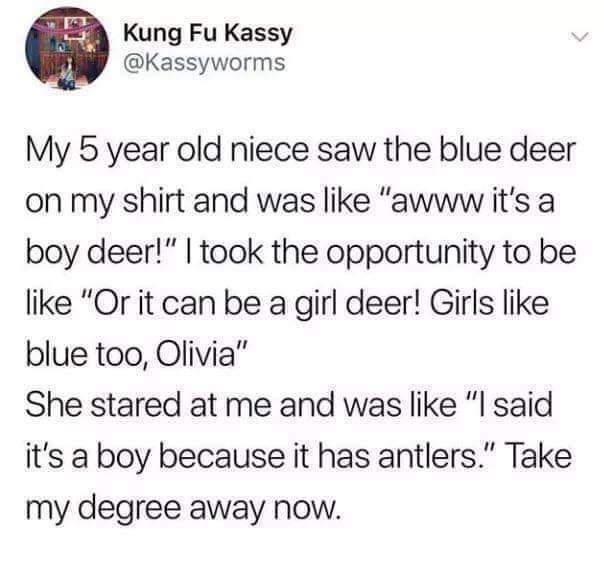 Funnier still is micromanaging correctness of blue/pink, boy/girl, antlers/no antlers for a blue deer.